On Friday 4th November, 6 children represented the school in the WASP Boccia Festival at Wantage Leisure Centre. Boccia is an exciting Paralympic precision target ball sport similar to Bowls. It requires great skill and accuracy to get the target ball closest to the jack. 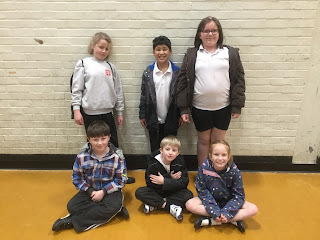 The children played in teams of 3 with Millie, Matthew and William making Wantage A and Jarrow, Ellen and Mikayla in Wantage B. Each team played 3 matches against other schools in the Wantage area. Wantage A won their first match against Fizwaryn 6-0, in their second match against St James they drew 2-2 and winning their 3rd match against Uffington 5-2. This secured them a place in the semi-final against Stockham, it was a very close match but Wantage lost 7-2. They then had 3rd place playoff again against St James and won 5-2! Wantage B lost all of their 3 matches, however each match they played they lost by less points and showed great improvement during the afternoon. We now look forward to the Vale round of the Boccia Festival.